– A docking port that was previously used to connect space shuttle orbiters to the International Space Station was robotically relocated at the outpost on Sunday (March 26) to support the future arrival of commercial crew spacecraft. Flight controllers working at NASA Johnson Space Center in Houston remotely commanded the station's Canadarm2 robotic arm to grab hold of, move and reattach Pressurized Mating Adapter-3 (PMA-3) from the port, or left, side of the outpost's Tranquility module (Node 3) to the zenith (space-facing) side of the Harmony module (Node 2). "This reconfiguration that we are doing [will] get ourselves into position to support the commercial crew capability that we're hoping to bring on board late next year and in 2019," said Kenny Todd, NASA's operations integration manager for the station, in a briefing on Wednesday (March 22). Boeing and SpaceX are developing new spacecraft — the CST-100 Starliner and Dragon, respectively — to launch astronauts to the space station, beginning as soon as late 2018. The commercially-operated vehicles will provide the launch services that the space shuttles previously provided and will augment the role that Russia's Soyuz spacecraft now solely provides. The Starliner and Dragon capsules will dock to the station at PMA-3 and PMA-2, another pressurized tunnel mounted to the forward-facing port on the Harmony module. 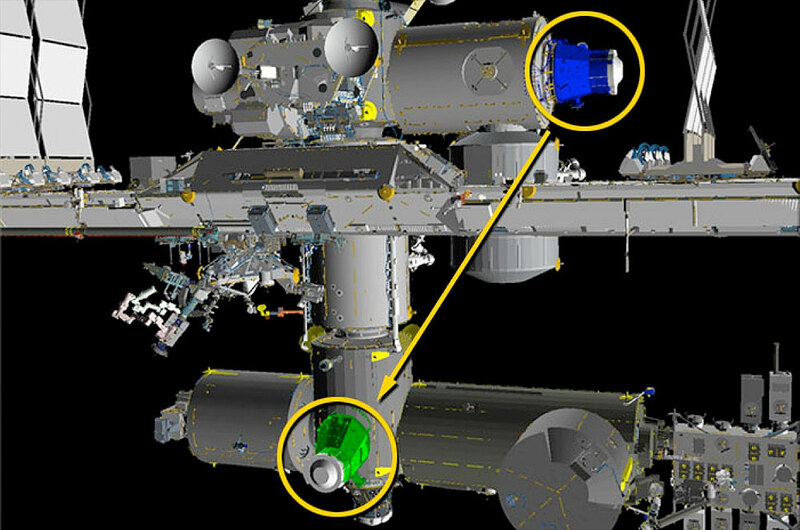 PMA-2 was equipped with an International Docking Adapter (IDA) to be compatible with the new spacecraft in August 2016. 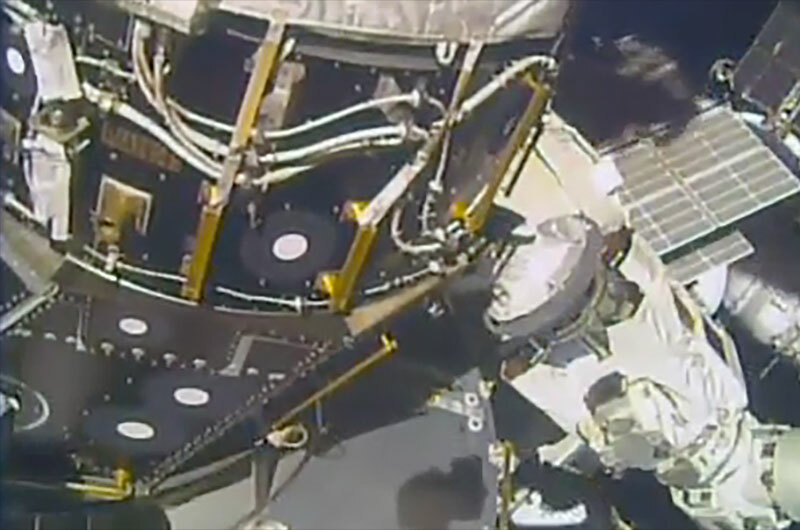 "We'll be ready to install a docking adapter [on PMA-3] at the end of the year [or] first of next year time frame that will provide that second docking port that we're going to desire when we start seeing commercial crew coming to station," said Todd. 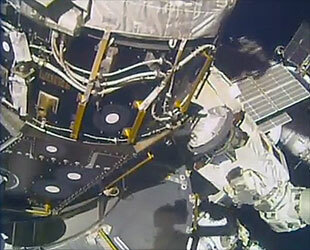 To prepare for Sunday's move, Expedition 50 commander Shane Kimbrough worked outside the station to disconnect cables and electrical connections between PMA-3 and the Tranquility module during a six and a half hour spacewalk with European Space Agency astronaut Thomas Pesquet. A second outing, scheduled for Thursday (March 30), will have Expedition 50 flight engineer Peggy Whitson connect heater lines to PMA-3. She and Kimbrough will also add protective micrometeoroid shields to the now open port on Tranquility and around the point where PMA-3 attached to Harmony. Sunday's relocation was the latest and final planned move of PMA-3 since it was brought to the space station aboard the space shuttle Discovery's STS-92 mission in October 2000. 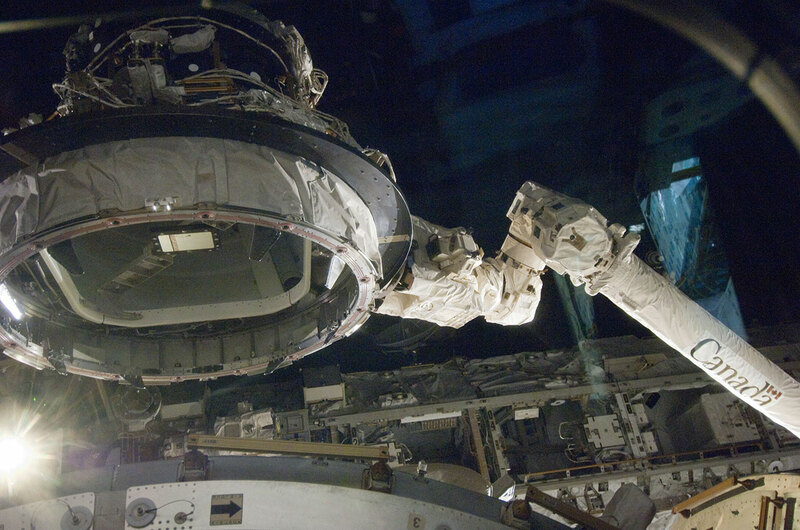 Initially installed on the nadir, or Earth-facing, port on the Unity module (Node 1), it was used by shuttles Endeavour and Atlantis to dock on missions that launched a segment of the station's truss in December 2000 (STS-97) and the U.S. Destiny Laboratory in February 2001 (STS-98). PMA-3 was then moved a month later during Discovery's STS-102 mission to the port side of Unity to make way for the delivery of pressurized cargo carriers. It stayed there until August 2007, when the Expedition 15 crew returned PMA-3 to Unity's nadir port in preparation or the arrival of Harmony on Discovery's STS-120 mission that October. PMA-3 was moved three more times prior to Sunday's final transfer. 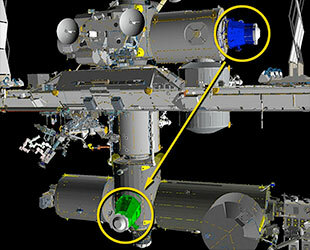 In August 2009, the Expedition 20 crew used the Canadarm2 to relocate the adapter from Unity's nadir to its port side to allow reconfigurations to the node's bulkhead. 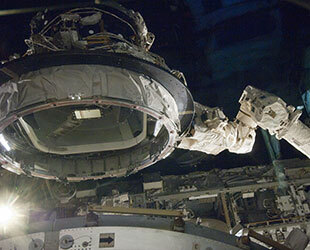 PMA-3 was then moved from Unity to the zenith port on Harmony in January 2010, prior to its relocation to the port side of Tranquility a month later during Endeavour's STS-130 mission that delivered Node 3 to the space station. Click here to enlarge and view video in a new, pop-up window.